The Palazzo Pitti (Italian pronunciation: [paˈlattso ˈpitti]), in English sometimes called the Pitti Palace, is a vast, mainly Renaissance, palace in Florence, Italy. It is situated on the south side of the River Arno, a short distance from the Ponte Vecchio. The core of the present palazzo dates from 1458 and was originally the town residence of Luca Pitti, an ambitious Florentine banker. The palace was bought by the Medici family in 1549 and became the chief residence of the ruling families of the Grand Duchy of Tuscany. It grew as a great treasure house as later generations amassed paintings, plates, jewelry and luxurious possessions. In the late 18th century, the palazzo was used as a power base by Napoleon and later served for a brief period as the principal royal palace of the newly united Italy. The palace and its contents were donated to the Italian people by King Victor Emmanuel III in 1919. The palazzo is now the largest museum complex in Florence. The principal palazzo block, often in a building of this design known as the corps de logis, is 32,000 square metres. It is divided into several principal galleries or museums detailed below. 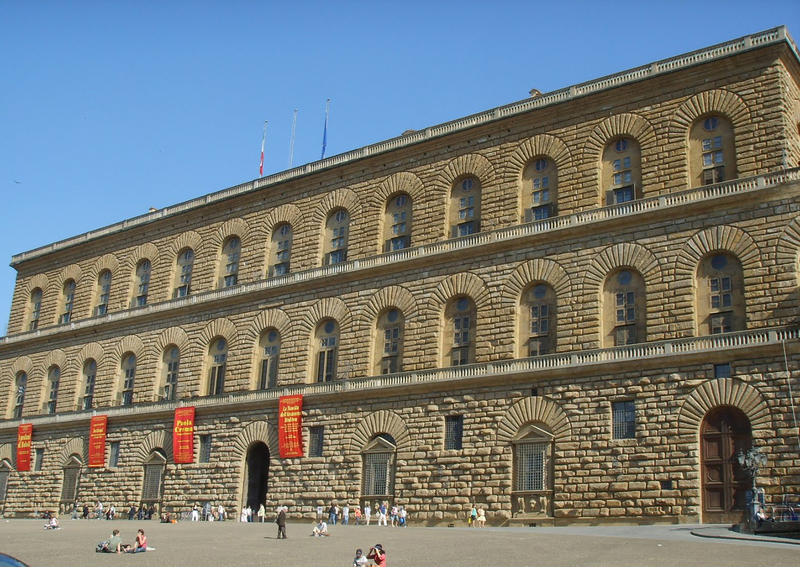 Check out the full Wikipedia article about Palazzo Pitti. Here KitchenAid uses a Gustav Klimt inspired lady to show how food is art.